Cameroon’s Indomitable Lions have drawn the Elephants of Ivory Coast and the Leopards of the Democratic Republic of Congo in a tough looking Group D of qualifiers to the Africa Cup of Nations (AFCON) in 2015. Cameroonians have bittersweet memories of the last time they were with Ivory Coast in the same qualifying group for a tournament (qualifiers for the 2006 World Cup in Germany). The Indomitable Lions beat the Elephants at home in Yaounde (2-0) and away in Abidjan (2-3) but still failed to qualify for the World Cup after they drew 1-1 with the Pharaohs of Egypt in Yaounde on 8 October 2005 in the final group game. Both teams met in the quarter-finals of the Africa Cup of Nations in 2006. The game finished 1-1 after 120 minutes of regular and extra-time. It then went on to one of the longest penalty shoot-outs in the history of the competition, with eleven players from each side scoring their kick. When the shoot-out restarted, Ivory Coast’s talisman, Didier Drogba scored while Cameroon’s star, Samuel Eto’o, missed. The Ivorians have since become one of Africa’s best teams (although they have unfortunately won no trophy) while Cameroon’s fortunes have gone downhill, except for their surprising run to the final of the Africa Cup in 2008 which the lost 0-1 to Egypt. 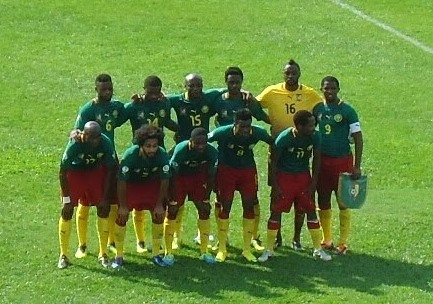 Four times winners of the Africa Cup of Nations, Cameroon failed to qualify to the continental event in Gabon and Equatorial Guinea in 2012 and in South Africa in 2013. To avoid missing out on the competition for the third time in a row, the Lions would certainly want to obtain good results against the Elephants but also defeat the Leopards of the Democratic Republic of Congo. Congo were in Cameroon’s qualifying group for this year’s FIFA World Cup in Brazil. The Lions defeated the Congolese 1-0 in Yaounde and drew 0-0 in Congo but struggled in both instances. The final member of Group D will come from Swaziland/Sierra Leone/Gambia/Seychelles which are still to play preliminary qualifying rounds. 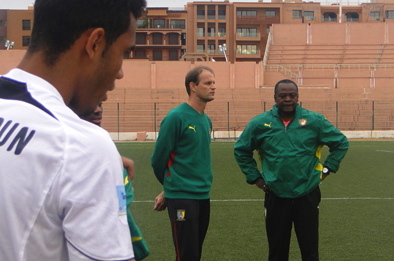 Cameroon starts the qualification campaign in September. CAF is expected to know the 15 teams to join hosts Morocco by mid-November 2014. There are seven (7) qualifying groups. The first and the second-placed teams in all seven groups, and the best overall third-placed team will qualify for the AFCON 2015 in Morocco. Cameroon beat the Democratic Republic of Congo (DRC) 1-0 in front many empty terraces to start-off their qualification campaign for the 2014 World Cup in Brazil on a good footing.They top their group with three points. It could have been a different story, though, had Congo been a more clinical team. Congo’s Leopards had the best scoring opportunities in the first-half at the 9th, 14th and 43rd minutes of play but they were denied by Cameroon’s goalkeeper Idris Carlos Kameni. Football being far from a perfect science, Cameroon’s Indomitable Lions scored the only goal of the encounter through the individual brilliance of their Germany-based striker Choupo-Moting. He dazzled the Congolese defenders with some tricky moves and was ultimately floored for a penalty-kick. He showed great mental strength by scoring his spot-kick the second time of asking after the referee ruled out his first (successful) attempt. If anyone feels there was nothing to write home about, the Lions’ coach Denis Lavagne would point to the result. He has won five in five including two competitive ties against Guinea Bissau (1-0) and DRC (1-0). Yet, the under pressure Frenchman could hardly conceal his relief after the game. “This (victory) is liberating for me and for the players…You know that many people expected us to lose. But no, we won and we will be there next week (to play against Libya),” he told Cameroon national television (CRTV) after the game. A win is a good thing. It means 3 points are in the bag. What happens when Choupo-Moting can’t save the day? 1. Team & Formation: Coach Lavagne stuck to his preferred 4-3-3 formation that he has used since he took over the reigns of the team in November last year. He started with Georges Mandjeck at right-back; Henri Bedimo (Left-back); Dany Noukeu (centre-back) and Aurelien Chedjou (centre-back). Stephane Mbia was sweeping infront of the back-four while Alexandre Song and Landry Nguemo played slightly ahead of him – with a mission to link up with the attackers: Benjamin Moukandjo (left-forward); Choupo-Moting (Right-forward) and Kwekeu (centre-forward). Edgar Sali came on for Kweuke after 60 minutes. He played on the left flank while Choupo Moting moved to centre-forward. Mbuta Andongcho replaced the injured Ngeumo near the end of the encounter leading to a tactical shift to 4-2-3-1. Song and Mbia were the two centre midfielders, Andongcho played on right flank, Sali on the left and Moukandjo played behind Choupo. 2. Attack: As the home team one would have expected Cameroon to take the game to the Congolese but that didn’t happen. The Lions’ build-up was slow and ponderous. Their passing was awful. All of which allowed the Congolese to regroup and hold their defensive shape. Lavagne must ask for greater urgency from his players. Congo’s manager, Claude Leroy, had flooded the midfield to deny Cameroon space and time to play the ball. This kept Ngeumo and Song in check. The ball hardly reached the attackers in the first-half. Choupo-Moting looked like a spectator. Kwekeu was isolated and always had two DRC defenders with him. There was little variety in attacks which all came from the left flank where Bedimo had a fruitful partnership with Moukandjo and later Sali. Bedimo even forced the Congolese keeper to a save minutes after Choupo-Moting’s goal. Things didn’t quite tick on the right flank where Mandjeck (normally a central midfielder or a centre-back) operated as fullback. There was a slight improvement in the second-half. Song and Nguemo pushed further forward to dictate play and create chances. However their final balls were not the best and they are certainly not natural goal-scorers. Song, for instance, fumbled after Choupo-Moting put him through to goal via a cheeky lob over the Congolese defence line. 3. Defence: The defenders had never played together as a unit (in the same positions) before. The Noukeu-Chedjou partnership looked comfortable dealing with longs-balls but was a bit brittle when the Congolese stretched the game wide and made quick passes on the ground. Bedimo was generally good on the left. Mandjeck, however, had difficulty with his defensive duties on the right, requiring Noukeu to regularly come to his rescue. Lavagne also has to remind his centre-midfielders to provide cover to the fullbacks when the latter surge forward. The absence of such cover exposed Bedimo who was the most attacking of the fullbacks. 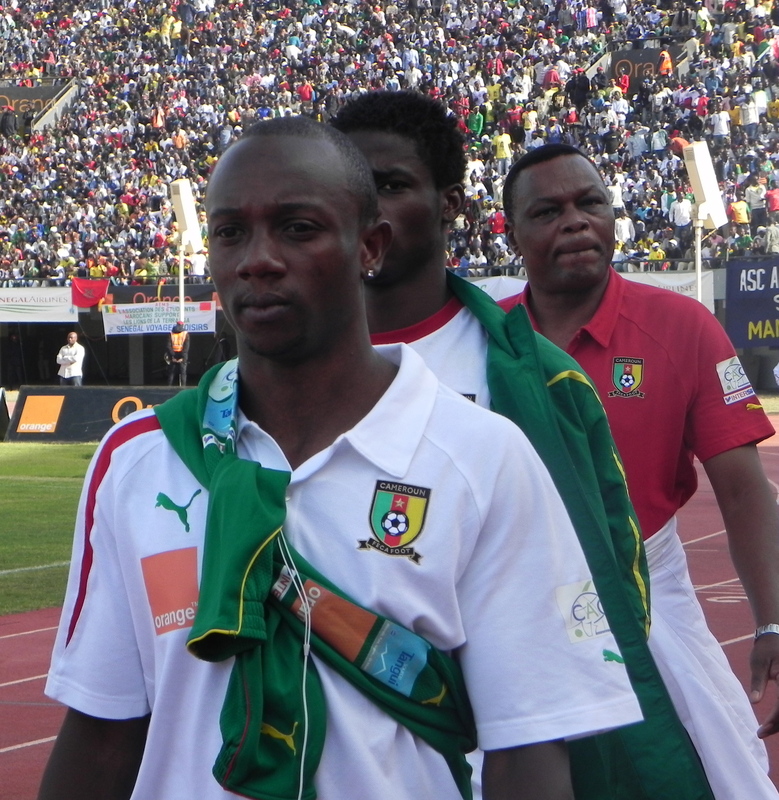 Stephane Mbia started slowly on his return to the position of holding midfielder for the Lions. He looked out of shape (he’s just back from injury), his first touch was heavy and his passing wayward. He improved in the second-half and showed the energy and drive fans are more accustomed to. I would like to see Joel Matip or Chedjou tested in that role again, though. 4. Set-plays: Where is Geremi when you need him? Cameroon’s corner-kicks and free-kicks were a sham. If Ngeumo intends to become the set-piece specialist of the team, he needs to contact Geremi for lessons. His shots often landed near the stands. There was no coordinated movement for corner-kicks. It was poor – enough said.